Well, MySQL provides with PROCEDURE ANALYSE() to help us detect inconsistencies in our database design by suggesting for an optimal datatype and data length for columns. In this blog post, we’ll discuss the differences between row store and column store databases. Clients often ask us if they should or could be using columnar databases. For some applications, a columnar database is a great choice; for others, you should stick with the tried and true row-based option. At a basic level, row stores are great for transaction processing. Column stores are great for highly analytical query models. Row stores have the ability to write data very quickly, whereas a column store is awesome at aggregating large volumes of data for a subset of columns. 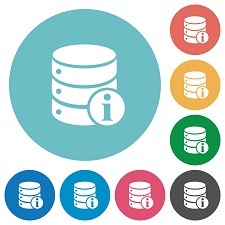 This Thursday (March 4th, 15:00 UTC - slightly later than usual), Robin Schumacher will present MySQL Column Databases. If you're doing Data Warehouse with your databases this is a must-attend, but it's also interesting to learn what typical other scenarios there are for using column-based storage engines, and how column databases work in the first place. Today I had to swap 2 columns in one of my MySQL tables. The task, which seems easily accomplishable by a temp variable, proved to be a bit harder to complete. But only just a bit. approach doesn't work, as it'll just set both values to y.